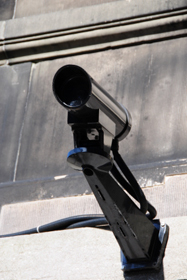 Video surveillance and Closed Circuit Television solutions can enhance your security efforts in many situations. CCTV equipment is a strong deterrent to theft and fraud, and provides complete documentation of events so you can examine activity and make decisions accordingly. These systems protect your employees, product and facilities.